In one life-changing moment, the lives of the Jewish exiles in Babylon are thrown into confusion and despair when a decree arrives from the king’s palace in Susa. It calls for the annihilation of every Jewish man, woman, and child throughout the empire on the thirteenth day of Adar, in less than one year. Ezra, a quiet Jewish scholar and teacher, is suddenly called upon to lead the community as they seek God for a reason for this catastrophe. When a second decree arrives, authorizing them to fight back, Ezra is thrust into the role of military leader as they defend themselves against their enemies. When the battles come to an end, Ezra’s brother Jude is dead and Ezra is required by the Law he so diligently studies to marry Jude’s widow, Devorah, and provide an heir. Fatherhood changes Ezra, and he asks God to make a way for him and the other exiles to leave Babylon for good and return to Jerusalem. His prayers are answered and the exiles move to Judea to revitalize worship at the temple–but the fight to keep God’s Law is never easy. As more and more of his community are tempted, a new battle emerges…this one for the survival of God’s covenant and the souls of His chosen faithful. As mentioned above this is the second in a series, but I think it could easily stand alone because it takes place 80 years after the first. This is the story of Ezra, which I didn't realize essentially happens at the same time as the story of Esther. Readers familiar with their Bible will recognize the events from the story of Esther, but it was fascinating to me to think about what it would have been like for the ordinary Jews during that time. We all hear of Esther's bravery, but the common people were sentenced to death. I'm sure their responses would have ranged from despair to fervent prayer to rejection of God as shown through the characters in this story. I've read quite a few of Lynn Austin's books now and while they are very good, I have to be in a certain mood to read them because they are not usually a light read. She does her research very well and other than one small thing at the beginning of this story (which I can't remember now) and the reference to their traveling in miles (which I know didn't exist back then, but also is a point of reference for current readers) the story really placed me in the time. Historical Biblical fiction can be tricky, but when done right, as I feel she does, it really helps me to place myself in the times. They didn't know the future as we know how the story ends. They had to live through it and it required more faith than I could possibly imagine right now. Can't wait for the third one! Read other reviews or purchase you own copy here. 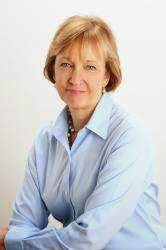 Bestselling author Lynn Austin has sold more than one million copies of her books worldwide. 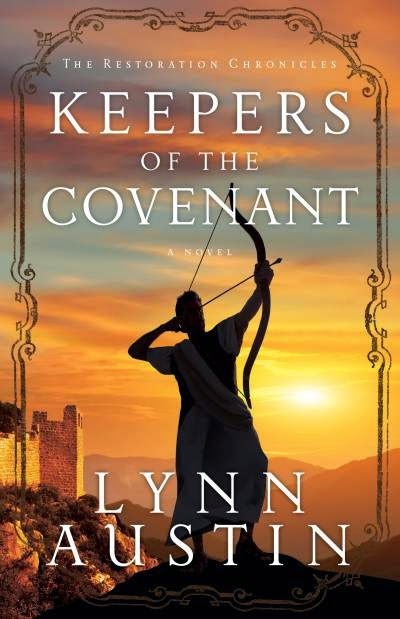 She is an eight-time Christy Award winner for her historical novels, as well as a popular speaker at retreats and conventions. Lynn and her husband have raised three children and live near Chicago.